with every SEB MAN order! The SEB MAN hair care range, for men who refuse to be categorised. The SEB MAN styling range, enabling men to express all versions of themselves! 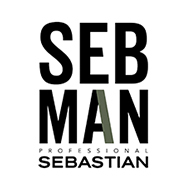 The SEB MAN range perfectly fills the male grooming needs of this type of existence, with a range of haircare, styling and grooming products boasting convenience, simplicity and of course, quality. A welcome addition to any busy lifestyle, and the perfect daily boost for an effortlessly cool day ahead.